According to the Centers for Disease Control and Prevention, gunfire injuries, shoots, and deaths kill at least 100 Americans per day. Sadly, 2017 witnessed the sheerest number of firearm victims in the United States within the past 51 years. 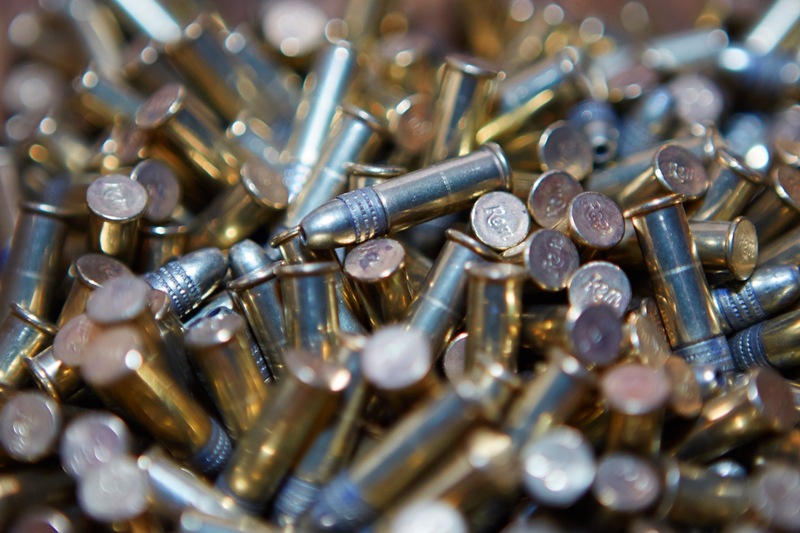 Authorities worldwide establish rules of purchasing or selling ammunition to reduce the impact of gun violence. Things are simple: we do not need too much ammo. But how much ammo can you own? We hope that you can find useful information in our article below! How Much Ammo Can You Own? Not all countries have the same restrictions when it comes to the fair amount of ammo one person can own. It is legal to keep a decent quantity of sporting ammunition in your house. Decent means an amount typically enough for a weapon or part of your collection. You can use the ammunition for any shooting games but business-related activities. The number of rounds of ammunition that shooters have in inventory might surprise any anti-gun people. What they don’t understand is how much ammo a shooter needs in a given week/month/year. Let me make it clearer! You should make more than one range visit each month just for proficiency maintenance. On each visit, you will bring more than two pistols. 100 or 200 rounds per gun per visit is just for minimal training. So, you will shoot at least 300 or 600 rounds per month. Most hobbyists will shoot much more than that, though. They would be much happier to be shooting 2,500 – 3,000 rounds per month if time permits. IN SHORT: Though your schedule may vary, 30,000 - 40,000 rounds for a yearly supply is normal. By the way, If you are intending buy a scope for ar15 rifle, Read my article here. It'll help you! Sometimes, the way you store your bullets can influence on the ammo amount you can own. Live ammunition is pretty safe. Whether you throw, drop, or kick it, it itself does not go off. The way we store it has something to do with how risky it is in a quick flash of fire, though. The further you keep it away from a fire hazard, the more ammunition you can possess. There is no better way than storing your collection in military surplus ammo or a locked fire-resistant safe. That way, the rounds will not explode even in the event of a house fire. Also, you can keep it out of others’ reach, especially children’s. 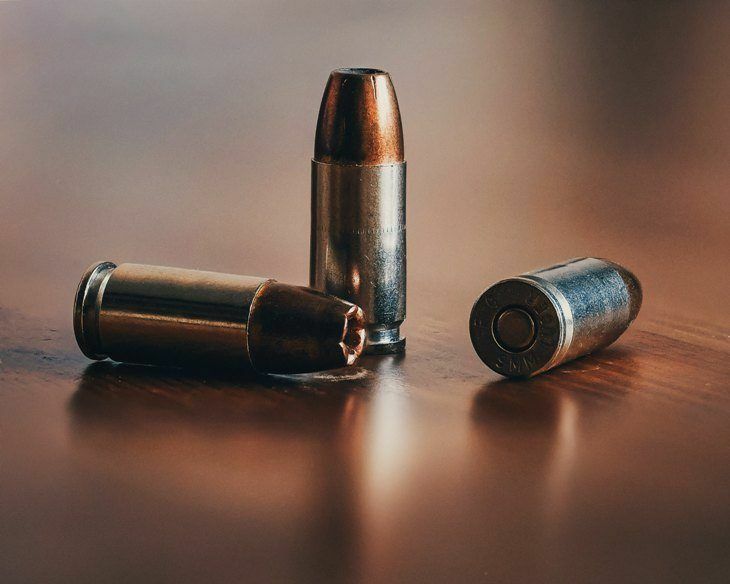 NOTE: For safety and security reasons, we recommend storing your ammunition separately from your firearms. You should keep your rifles or shotguns away in a locked and least visible place. All gun owners need an ammo cabinet not only to increase the ammo shelf life but also protect themselves. Below are our suggestions on the best ammo cabinets. Does a unit beyond others’ imagination sound appealing to you? 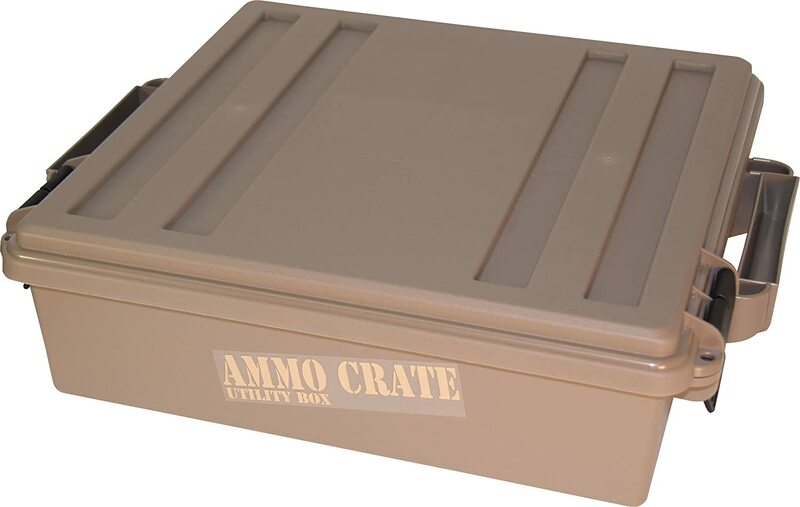 Then, the MTM ACR5-72 Ammo Crate Utility Box is the best choice! From a performance perspective, this MTM model is hard to match. The O-ring seal not only protects it from water but also allows for dry storage. The lockable latches decrease the number of accidental shootings. Are you in search of an affordable cabinet offering ample storage? Then, the Stack-On GCB-900 Steel Pistol/Ammo Cabinet is your best bet. 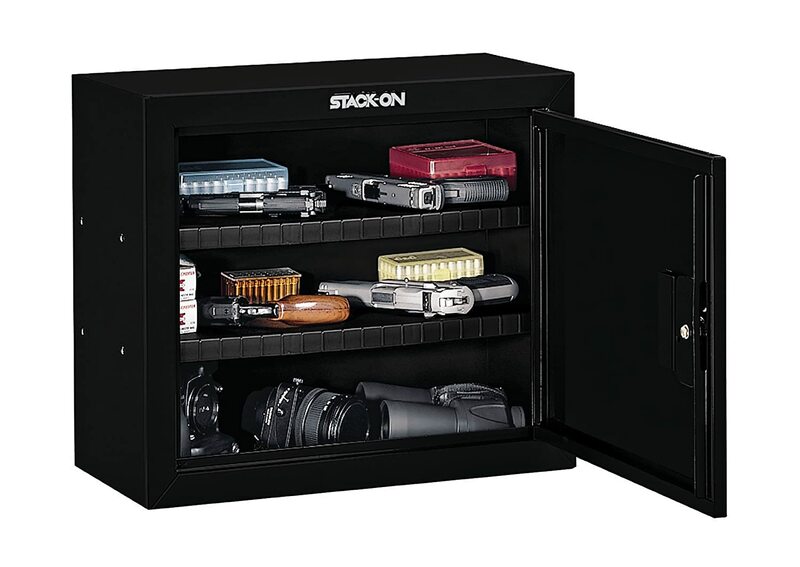 The dual interior shelves and foam-padded bottom offer decent storage. Meanwhile, the double-bitted lock keeps the ammunition out of children’s reach. The steel door reduces the chances of unintentional shootings. The bolting hardware not only securely stores heavy ammunition but also keeps housebreakers at bay. How much ammo can you own? I think that there is no fixed answer to this question. 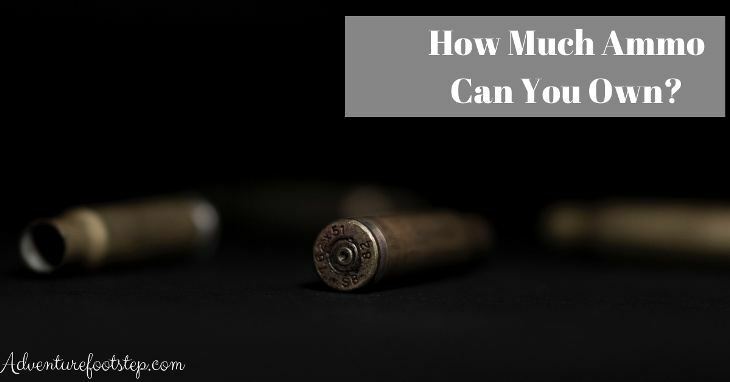 The quantity might vary according to the requirement of your firearm. The fact that a gun owner possesses up to 10,000 rounds of ammunition does not make him/her a terrorist. He/she should follow the storage and handling restrictions, though.